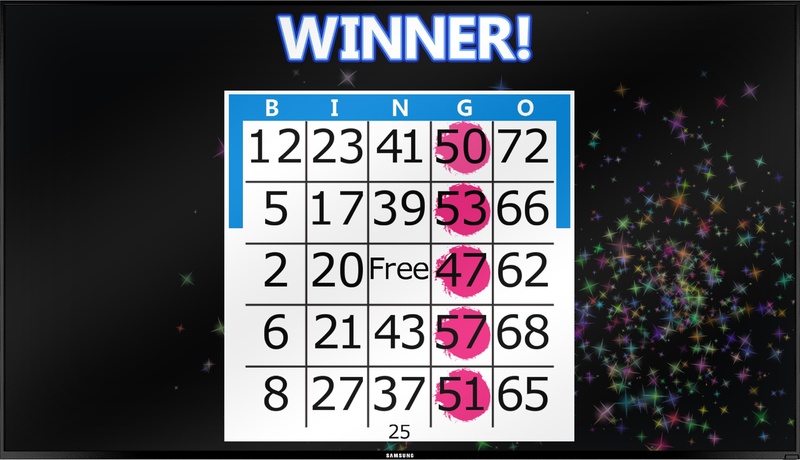 MaxFlash™ is a versatile video flashboard system that employs cutting-edge hardware and software to bring the classic bingo experience to life with a modern and exciting digital presentation! 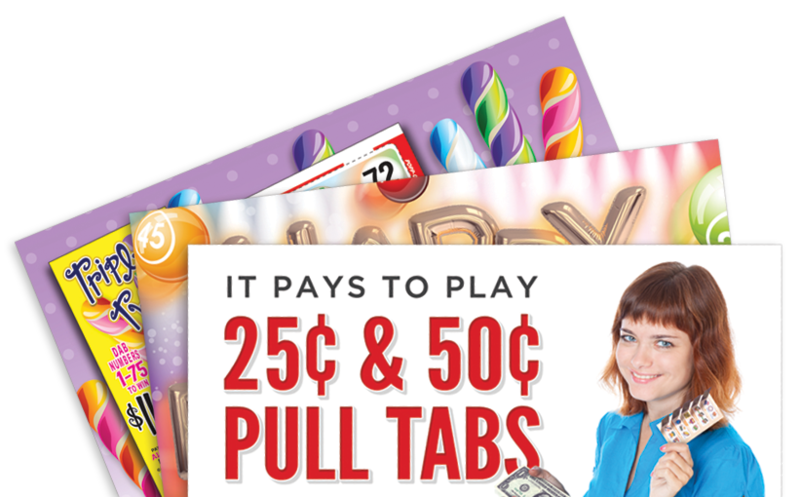 Visit our Advertisement Resource page to view and download high-resolution, pre-designed MaxFlash ads! 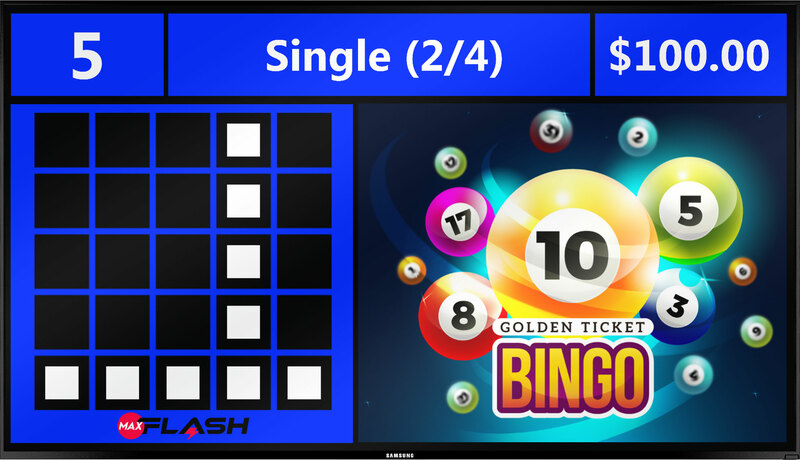 Each MaxFlash computer delivers 1920 x 1080 graphics to up to three large screen, high-definition video displays using HDMI connections. 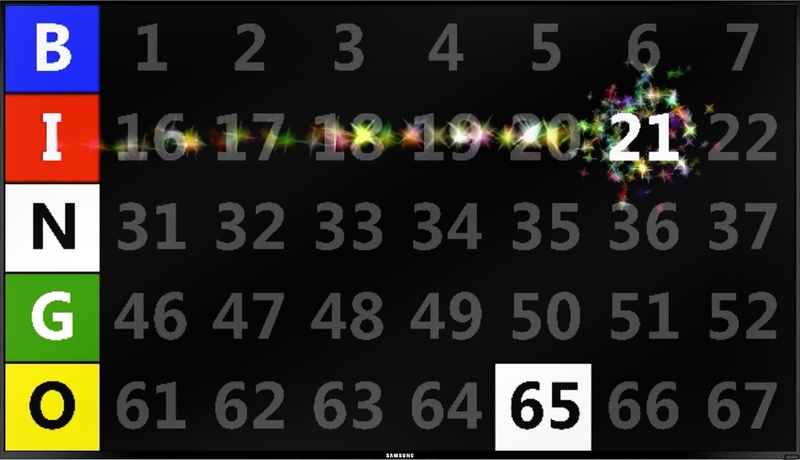 High quality, dynamic graphics and animation - including eye-catching transitions and effects - will generate buzz and excitement for your game. 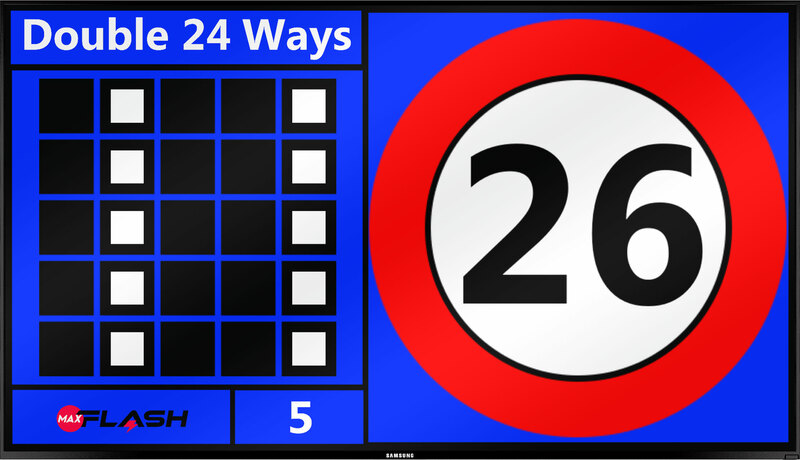 MaxFlash is configurable in a variety of screen modes and flashboard layouts that accommodate 1, 2, or 3 displays of any size. 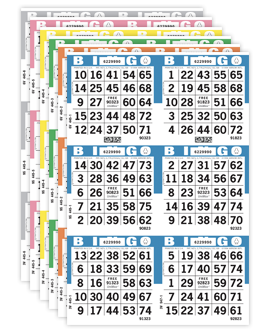 Customize your hall's bingo experience with our pre-designed colour palettes! Switch it up as the seasons change throughout the year, or even for special events. Create your own digital ads, or choose from our professionally designed promotional graphics to display on-screen during a game or at intermission. The MaxFlash's compact yet powerful RazorPC features user-friendly software and includes high quality video cables to deliver crisp graphics and animation. 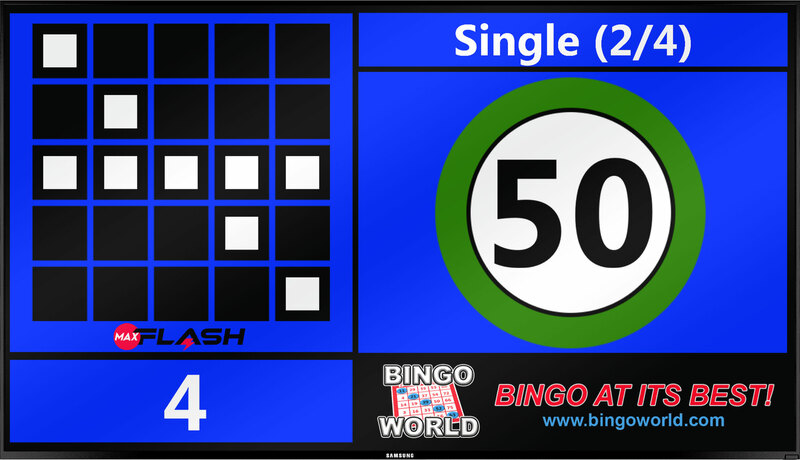 Powered by a compact, wall-mounted PC, MaxFlash delivers extensive real-time game information and high definition graphics. Each RazorPC can support up to 3 HD TVs. An additional RazorPC is required to support configurations for 4-6 TV’s. 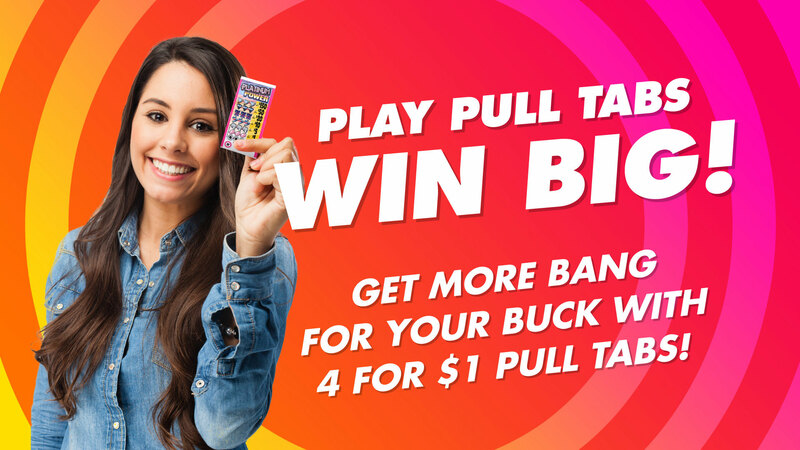 Put your game on the big screen. 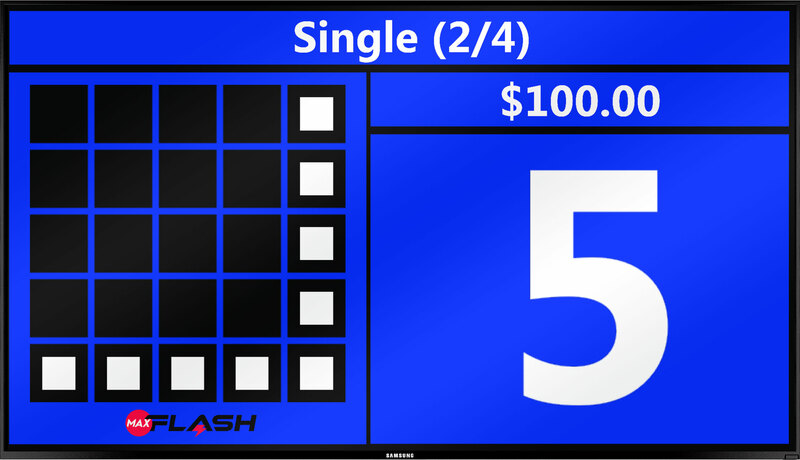 MaxFlash features a variety of flashboard layouts and configurations to accommodate one, two, or three widescreen HDTVs of any size. ...and change up the colour theme as the seasons change, for holidays, or even special events! MaxFlash provides valuable entertainment variety, attracting more people to your venue, including a whole generation of new players!